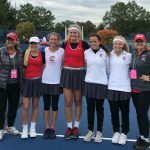 Saturday, October 20: Maverick and Ava lost 6-3,3-6,3-6 in a tough semifinal to Hathaway Brown this morning. 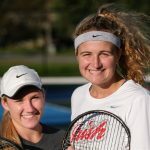 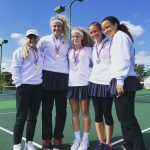 They then went on to beat Revere High School 6-1,6-0 to capture third place, the highest of any Lady Irish doubles team or singles player ever! 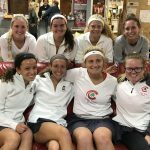 We now head to Reynoldsburg for the team semifinal tomorrow morning. 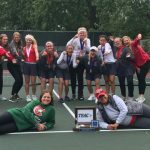 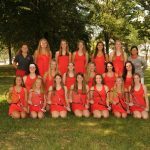 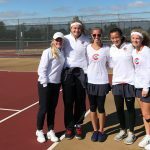 Girls Varsity Tennis · Oct 11 Lady Irish Tennis Update – State Bound! 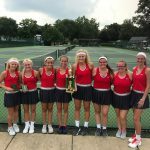 Your Lady Irish Tennis team THREEPEATED at the TRAC tournament, edging out NDA for 1st place! 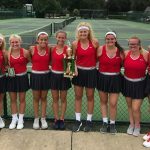 The team was led by individual championships from Ava McQuillin (1st singles), Maverick Delp (2nd singles), and Rachel Gorman/Bella Spinazze (1st doubles). 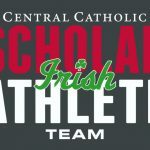 Go Irish! 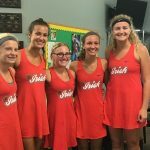 Girls Varsity Tennis · Aug 21 Lady Irish Tennis off to a Great Start!